This was a custom made flash game for the Rotterdam Tourism Board. Intended to attract a younger crowd to the city, it had to be a casual game that anyone could play. 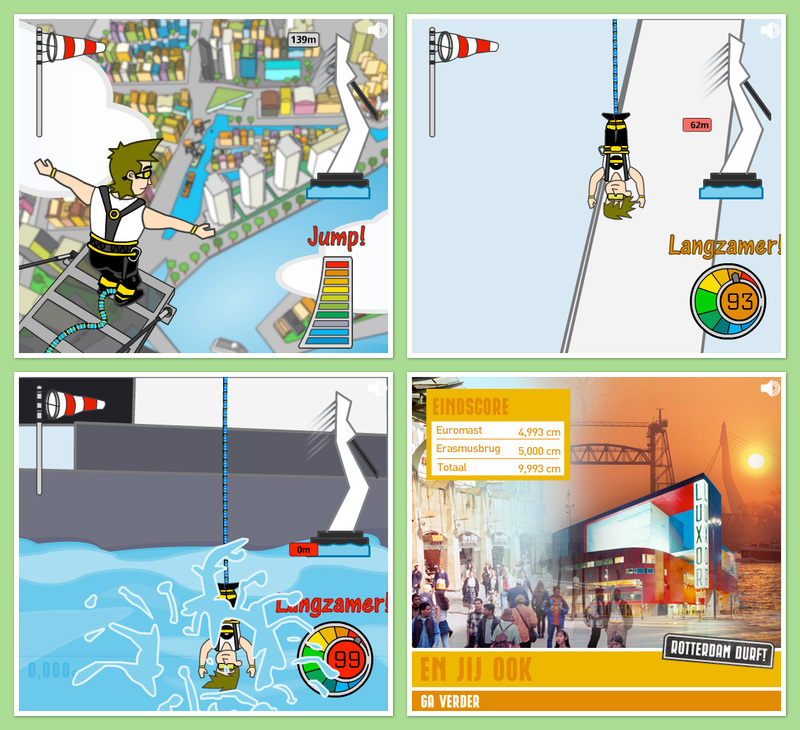 The object of the game is to jump from Rotterdam landmarks and reach the water of the river Maas as close as possible without getting wet. To control your speed you can extend your arms.